Honestly, if I could take away the pain from her and ration some to myself, I would do it. My questions are what exactly cause arthritis and can it be prevented? 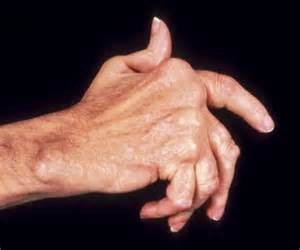 To answer the first question as we all know, arthritis is caused by wear and tear on your joints. As a child, my mom was abused both physically and mentally. She was forced to leave school at a very young age to care for her nieces. Forced to work out in waist deep snow and chop wood, while everyone else was inside staying warm by the cozy fire she provided wood for. Yes, it hurts when she tells me her child hood stories. I wonder how she ever survived, but she did thanks to Almighty God, my mom is living to tell her story. Can arthritis be prevented? Not really, my mom was and still is a healthy eater, exercised and took her vitamins. So, in essence, it can’t be prevented; depending on your life style and how you grew up, it may not affect you as bad as it did my mom. As an adult, she often got beat and knocked around by scum buckets, but it never stopped her, she out lasted them all! My mom is a very godly and strong woman. The wounds of her past only made her stronger. Thank You Father, for saving my mom and enabling me to take care of her the way she took care of me. P.S. The image in the picture depicts what my mom’s thumb look like…..although it is not an actual image of her hand. I understand the way it feels to watch your mom suffer. You are not alone.